Warner's Had high hopes for this musical , but it was not very successful. the plot line was pretty thin. 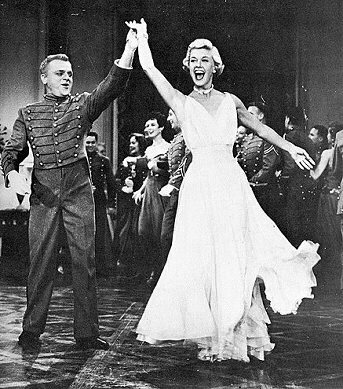 The plot had Cagney playing a Broadway producer living the life of a West point Cadet for several weeks. Regardless of the films success, Cagney was particularly fond of his dance numbers with Virginia Mayo and rated them among his very best.